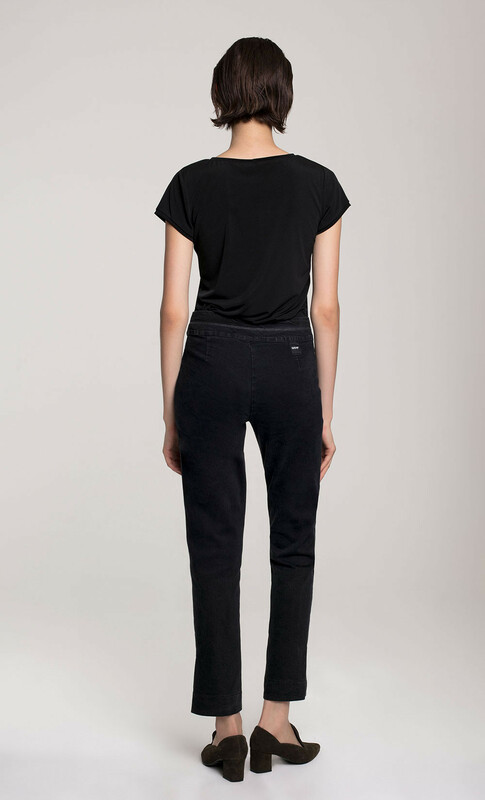 These slim leg denim trousers feature Dorin Frankfurt’s signature double button fastening. 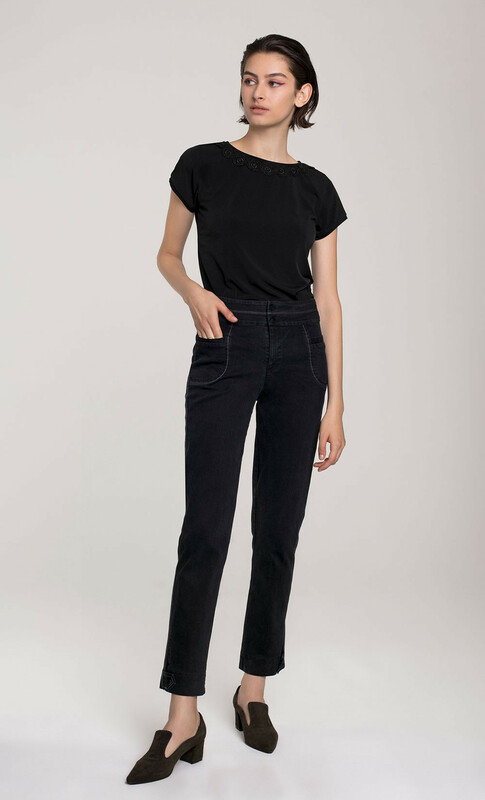 Cut for an ultra flattering high-rise waist, this style is complete with front pockets and button detail cuffs. 75% Cotton, 23% Polyester, 2% Lycra.